As this year draws to its end, I look back at this year's achievements and I cannot but be grateful. 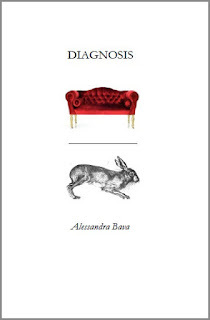 The year started with the publication of my second American chapbook, Diagnosis, by Kristy Bowen and her magical dancing girl press. This spring my translations of Alejandro Murguia's poems,Offerte di Carta (Paper Offerings) was published by Gilgamesh Edizioni. Another book in translation I am very proud of Nuova Antologia di Poesia Americana (New Anthology of American Poetry), was published by Edizioni Ensemble. My poems "Crave What Matters" and "Lullaby (for Philip Levine)" have been published in the Anthology Ovethrowing Capitalism Vol. 2 edited by Jack Hirschman and John Curl.